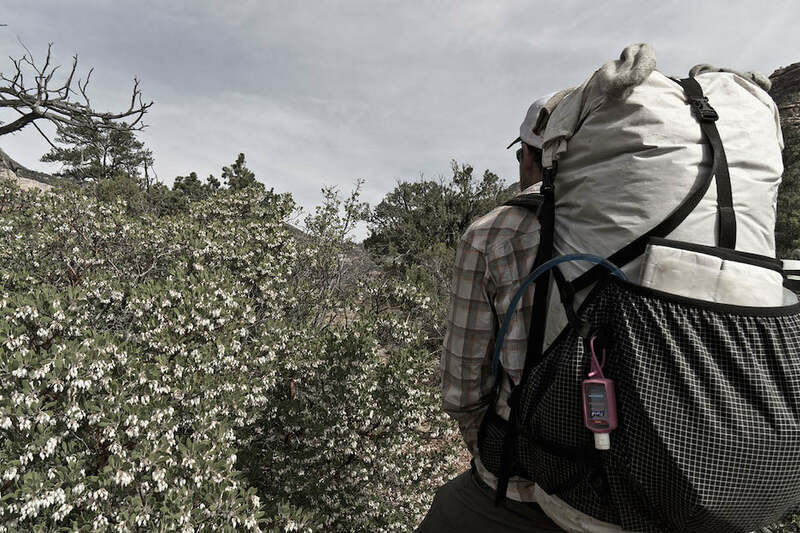 As an ultralight long-distance adventurer, I dial in my systems to conserve energy with every step I take. The lighter my gear, the further I can go; the less weight I carry, the less the strain on my body and the less food I need. Going light just makes sense. And it absolutely doesn’t mean I’m uncomfortable when in the backcountry. I’m always warm enough, well fed and hydrated, and I sleep well at night. In this blog post, I share my thru hiking gear list from my recent 200 mile off trail section hike below the rim of the Grand Canyon. 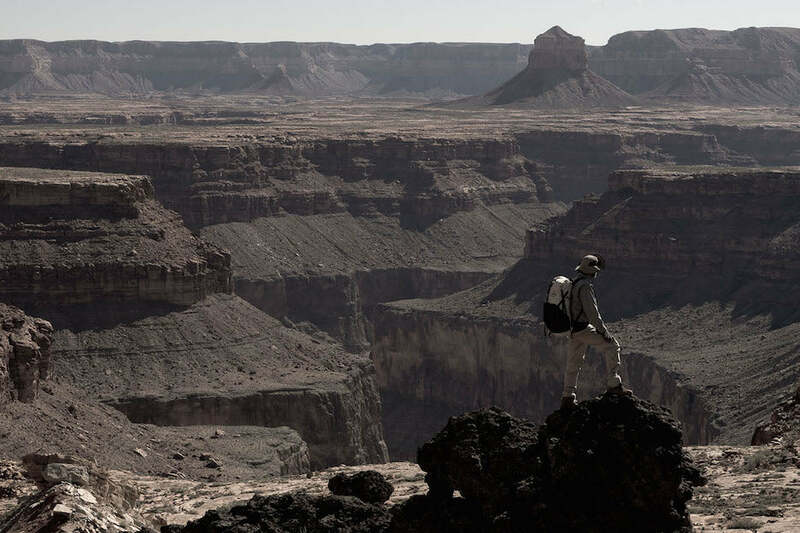 This extreme adventure incorporates long-distance hiking, rock climbing, canyoneering and serious map and compass skills, and is one of the most difficult thru hikes in the world. Water is scarce, established trails nonexistent, and the terrain is steep and difficult to navigate. It’s a trip that fewer than three dozen people have done (consider that 40 people summited Mt. Everest in one day in May 2016!). However, despite the specialized nature of some of the technical gear I carried, the basic equipment I bring on any thru hike or long-distance backpacking is the same. And my pack base weight is typically 8-15lbs., depending on the discipline. Check out my full gear list below. It’s absolutely integral to the success of my trip that I get a good night’s sleep when I’m hiking hundreds of miles. Luckily, the latest technology has brought us the ultimate in lightweight, and super comfortable sleeping gear. Therm-a-Rest NeoAir XLite Sleeping Pad (12 oz., size regular). A shelter system that can withstand major wind, rain and snow storms may make the difference between success and failure on your adventure. You don’t need to consider “how warm” a tent is (which is a questions I receive quite often), but rather how well it will protect you and your gear from the elements. If you’re using the right shelter and setting it up correctly, you should emerge from it dry and well rested every morning. Be sure to learn how to set up your tarp or tent numerous times before you embark on your trip. That way you can quickly set it up should a storm suddenly come in or should you arrive to camp late and exhausted. Knowing how to use your shelter is as important as having a super lightweight, ultra-durable shelter. Hyperlite Mountain Gear UltaMid 4 (20.8 oz.) Clay and I shared this pyramid tent. Your shelter shouldn’t weigh more than 2 lbs. We left the tent stakes at home and planned to use rocks as anchors for this trip. The redundancy of the pack “system” is incredibly important. Yes, Hyperlite Mountain Gear packs use waterproof Dyneema® Composite Fabrics (formerly Cuben Fiber). However, we don’t call the packs 100% waterproof given all the seams and needle holes that result from stitching the packs. No backpack is 100% waterproof, nor would I really want one to be. Reason being if you were to get a hole in a waterproof pack you’re screwed. With that said, having a highly water resistant pack made from materials that don’t absorb water, coupled with DCF Stuff Sacks that are highly water resistant and won’t absorb water, makes for a bombproof system that keeps essential gear dry. For me, pack covers are a thing of the past. Hyperlite Mountain Gear 3400 Southwest Pack (Slightly modified with a stiffer frame sheet needed to carry 6 liters of water per day, making it weigh in at 30.7 oz). If you were to go with all the gear I’m recommending minus the technical climbing and canyoneering gear, you should be able to fit your entire kit into a 2400 cu in. pack with room to spare (28.6 oz.). DCF8 Stuff Sacks (2.2 oz. )–two Jumbo, one for a sleeping bag and one for food; a Large to be used as a clothes bag; an additional Large and one Small for other odds and ends. Read more about how I use stuff sacks in my blog post, Stuff Sacks for Thru Hikes & Backpack Trips. 5 Pods (6.1 oz. )—1 Large (1.3 oz.) and 4 Small (1.2 oz.) for my breakfasts, lunches, dinners, snacks and personal items/toiletry kit. I often don’t bring a stove, as I don’t feel it’s necessary for many adventures. I miss the hot coffee, but cold drinks and food are just as nourishing as cooked food. However, for a trip as difficult as a thru hike below the rim, it’s nice to have cooked meals and its also a little easier to calculate the calories per meal to ensure you’re getting the required calories per day. So I included this on my thru hiking gear list. Vargo Titanium Long-Handle Spoon (0.5 oz. ): Long ones work better if you are going to eat dehydrated meals directly out of the package. We brought a Jetboil because it’s by far the most efficient when it comes to boiling water and fuel consumption. This means over the course of a 30-day trip you’ll need far less fuel than other stoves would require. It also makes life really convenient when you roll into camp long after dark and are dead tired and need to make dinner. Over the years I’ve learned you can bring about 22-25 10oz. cups of water to a boil with one small fuel canister and 45-50 boils with the larger fuel canisters. This is important to ensure you’re planning your fuel consumption accurately over the course of a long trip. 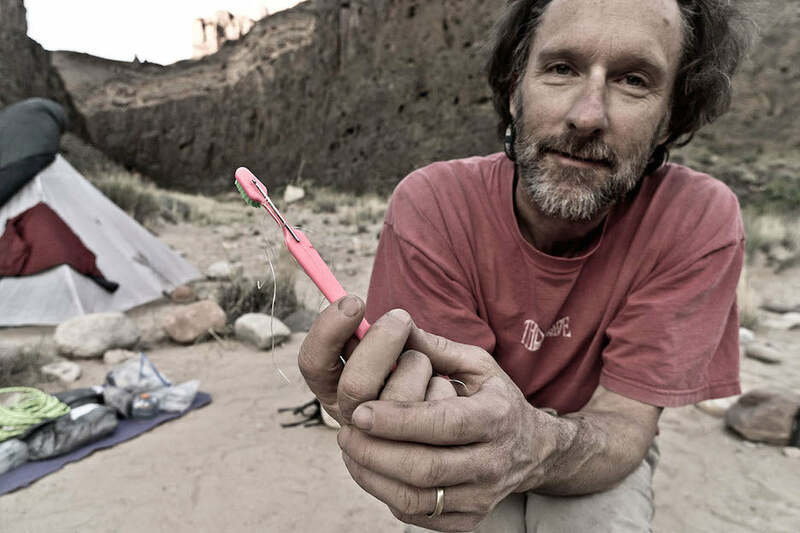 Mike St. Pierre’s partner on the Grand Canyon thru hike, Clay Wadman had an unfortunate incident with a rock falling on his gear and smashing his toothbrush, among other things. Black Diamond Carbon Cork Trekking Pole (9 oz). Trekking Poles: Telescoping trekking poles are also a good idea. I always carry two as they are the supports for my tent, but I usually only hike with one and stash the other on my pack. Read more about trekking poles in my Stripped Down blog post on Trekking Poles. Five Ten Guide Tennies (14 oz.). In the Grand Canyon these shoes only last about 15 days, but having the Five Ten Stealth Rubber soles is well worth the compromise in durability. I’ve spent years dialing in my kit, using some gear for multiple purposes and sharing as much as possible, when I have hiking partners. 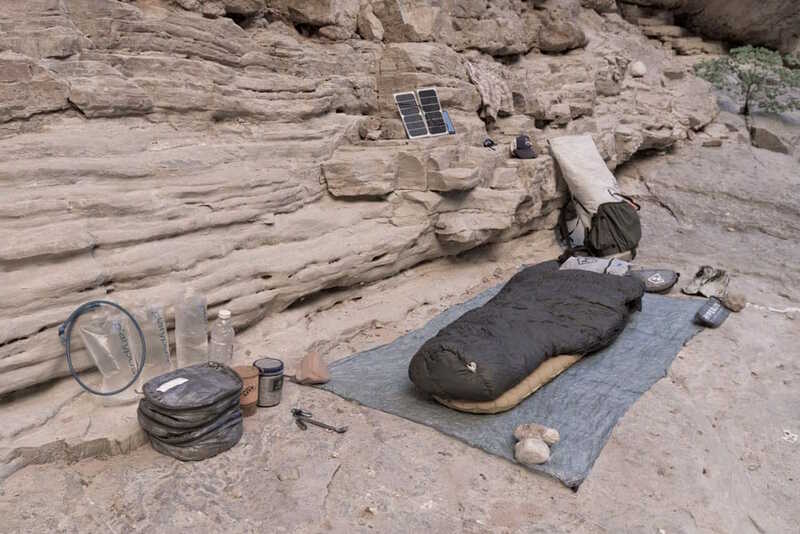 In the Grand Canyon, Clay Wadman and I split the weight of what we considered group gear–Jetboil, fuel canisters, UltaMid, tent stakes, SteriPEN, Aquamira Drops and all our technical gear. Even with this extra climbing and canyoneering equipment, our packs were lighter than average. This allowed us to remain relatively comfortable even when we had to pile on the water, as we often had to do while in the Grand (because water sources are so scarce). It also allowed us to travel more safely; if something had happened to either of us, the other person would have much more easily been able to help. 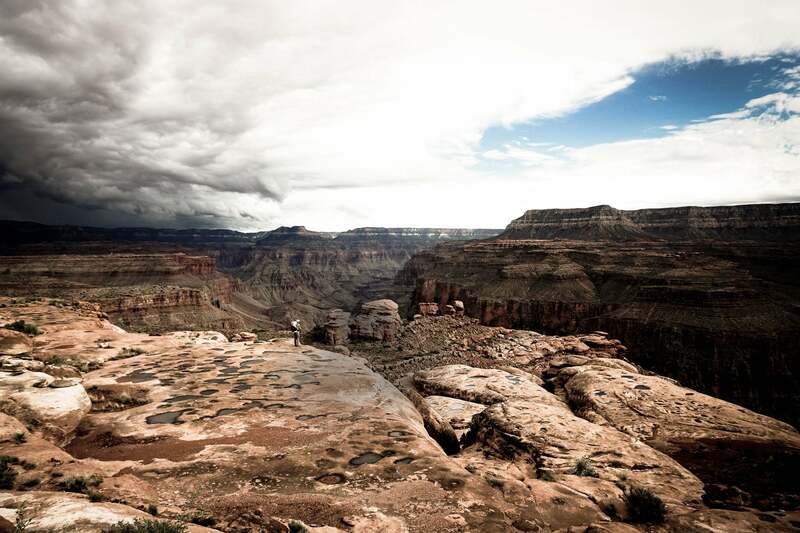 The post Long-Distance, Lightweight Thru Hiking Gear List (for the Grand Canyon) appeared first on Hyperlite Mountain Gear Blog.